Chinese Foreign Minister Wang Yi on Monday singled out Cambodia for “taking charge of impartiality” within Asean after it thwarted the bloc’s effort to formally reference an international court’s ruling on the South China Sea that has angered Beijing. The July 12 ruling rejected China’s extensive territorial claims in the sea, and the majority of Asean’s 10 member states had wanted it mentioned in a statement ahead of meetings in Laos on Monday and today between its foreign ministers, Mr. Wang and U.S. Secretary of State John Kerry. A joint statement released on Monday, however, made no mention of the U.N.-backed Permanent Court of Arbitration’s decision, after Cambodia—which China recently promised more than half a billion dollars in aid through 2018—vetoed its inclusion. “China greatly approves of Cambodia and other Asean countries taking charge of impartiality and safeguarding fairness,” Mr. Wang was quoted as saying by Reuters after the statement was released, before also appearing to rebuke the U.S. for interfering. “We will not permit any outside force to seek to exploit and hype up the so-called South China Sea arbitration case and bring chaos to this region,” he said. 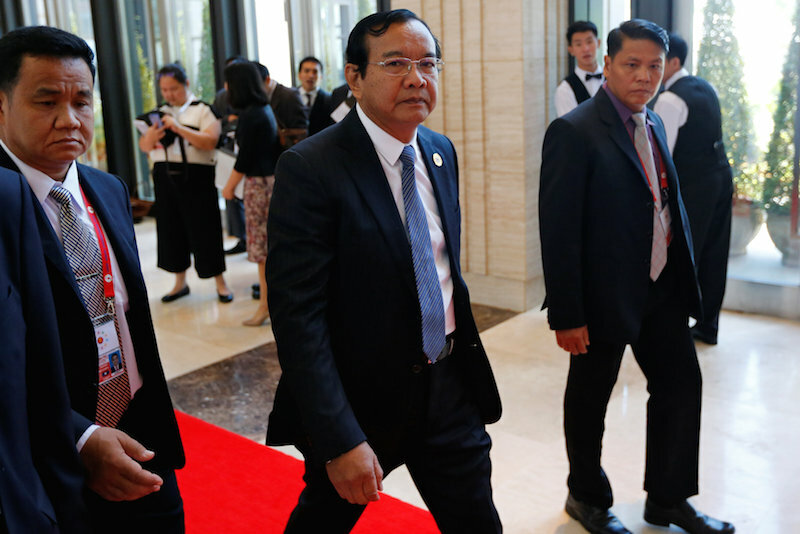 Cambodia has repeatedly rejected accusations that it has been bought by China as a fifth column in Asean, which requires consensus, but diplomats have said it even wanted to remove a previously standard phrase expressing caution over “militarization” of the sea. “Cambodia is unbelievable,” an anonymous diplomat was quoted by Reuters as saying on Saturday. Half of Asean’s members—Vietnam, Indonesia, Malaysia, Brunei and the Philippines—claim either territory or other usage rights in the sea, and many have grown concerned about increasing Chinese military activity and land reclamation projects there. “We emphasised the importance of non-militarisation and self-restraint in the conduct of all activities, including land reclamation that could further complicate the situation and escalate tensions in the South China Sea,” the communique said. 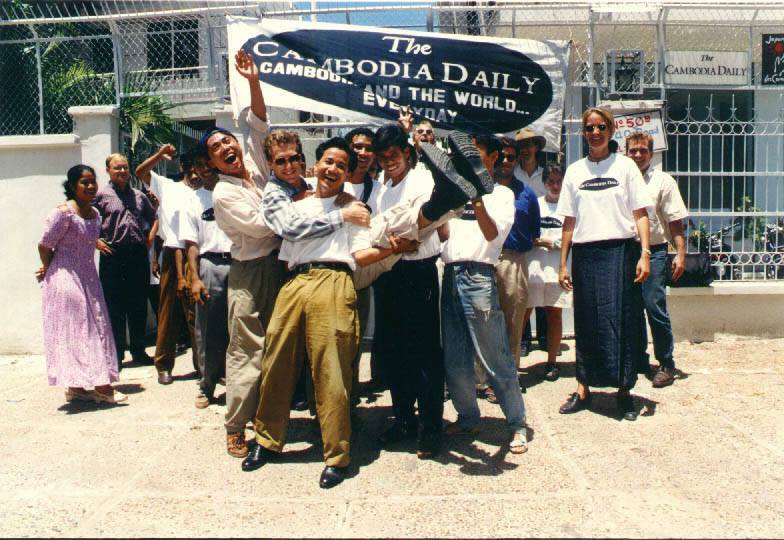 Sophal Ear, an associate professor of diplomacy and world affairs at Occidental College in Los Angeles and the author of “Aid Dependence in Cambodia: How Foreign Assistance Undermines Democracy,” said it was clear that China had bought Cambodia’s loyalty. “Cambodia has been in China’s pocket since 2012 and should be reminded of the African proverb: A man whose hand is in another man’s pocket must go wherever he goes,” Mr. Ear said, adding that it was only strange how far Cambodia had split from Vietnam. 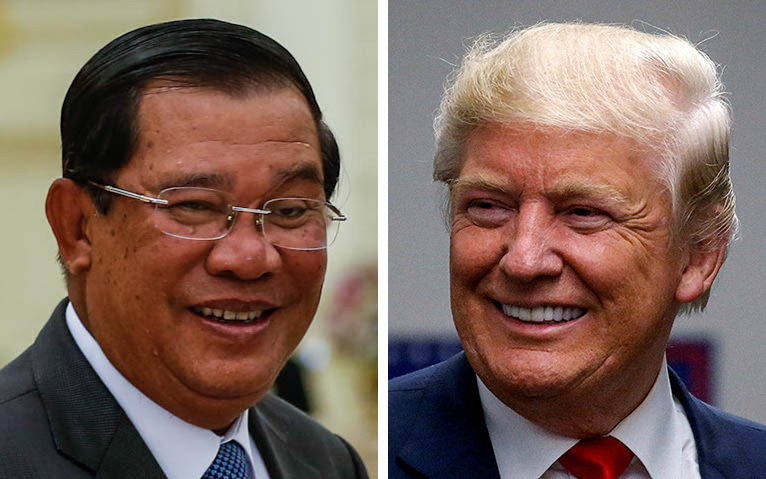 Most of Cambodia’s senior leaders, including Prime Minister Hun Sen, cut their political teeth under the tutelage of Vietnamese advisers during the Hanoi-installed socialist regime of the 1980s, which was at war with the Chinese-backed Khmer Rouge. Government spokesman Phay Siphan reiterated Cambodia’s stance that under the Declaration on the Conduct of Parties in the South China Sea, Asean should not act together on a territorial dispute, and dismissed claims that China was purchasing influence. 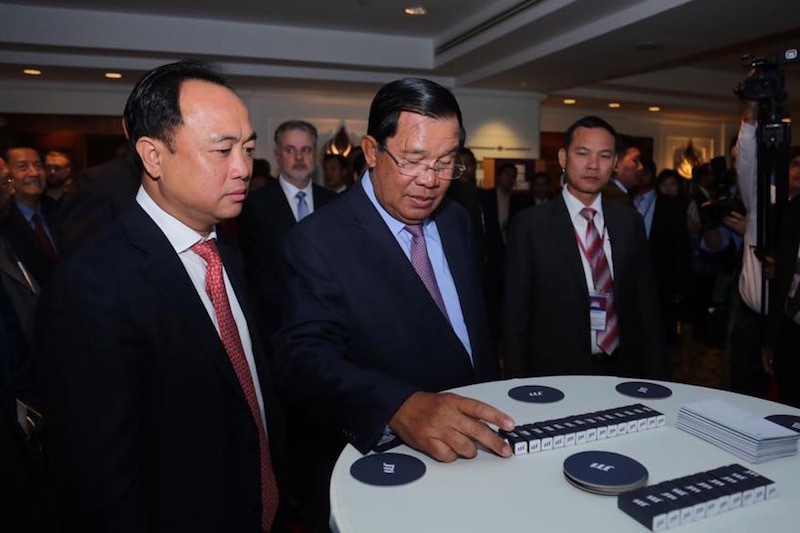 “Since 2012, when Cambodia was the chair of the Asean summit and China gave us some money, some media accused Cambodia as being a puppet of China,” Mr. Siphan said. “But they should read [the declaration] and what we are supposed to do and not, with the consensus of all Asean nations,” he said. A proper reading, Mr. Siphan said, supported Cambodia’s opposition to Asean uniting against China over the sea dispute. “To pressure Cambodia to respect the ruling by the international court is not right, because Cambodia is not interested. We are interested in peace and stability and freedom of navigation,” he said. In July 2012, Asean did not release a joint statement for the first time in its 45-year history. 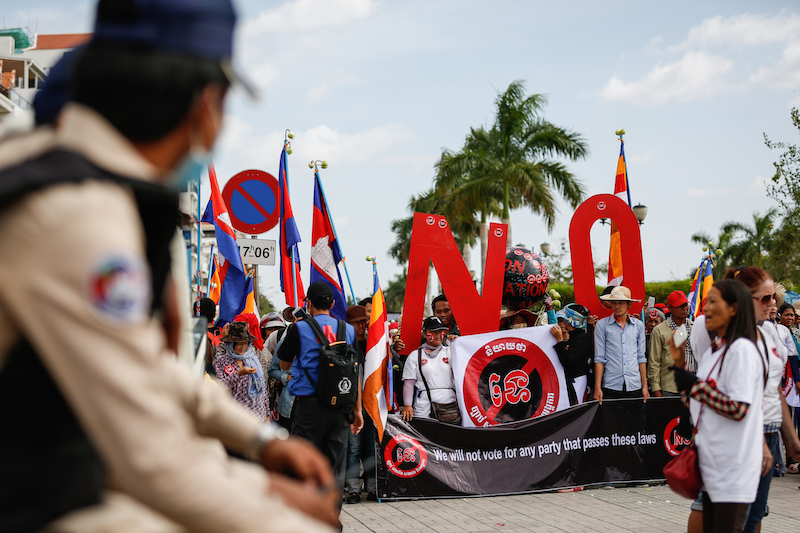 Cambodia, which chaired the bloc’s annual summit in Phnom Penh, was at the time accused of being paid by China to sabotage a statement or code of conduct. Mr. Ear said Asean would remain at a standstill on the South China Sea issue as long as it included Cambodia and maintained its current set of rules. “Asean goes nowhere from here. They’ve been defeated through their own modus operandi, which Phay Siphan very adroitly identified: consensus,” he said.